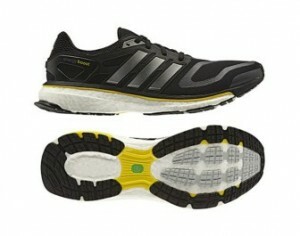 Sportswear brand Adidas has recently introduced its latest running shoes Energy Boost. Part of a new Adidas segment called Energy Running, the shoes features BOOST, a cushioning technology which provides the highest energy return in the running industry. The new Adidas Energy Running segment caters to the one need every athlete has: energy. The first product within this segment is Energy Boost. BOOST foam material combines previously contradicting performance benefits of soft and responsive cushioning. Adidas notes that the energy return is provided by energy capsules in the midsole which store and release energy so efficiently that runners feel the difference from the first moment they put the shoes on. Based on an innovative process developed by Adidas’ partner BASF, a leading chemical company, solid granular material (TPU) is literally blown up and turned into small energy capsules which make up the shoe’s distinctive midsole. Additional Adidas technology featured in the Energy Boost includes: a special mid-foot support frame which cradles the foot in place, an extended TORSION system from heel to toe which helps to minimize roll for more stability.